of the Industrial Revolution in this country. 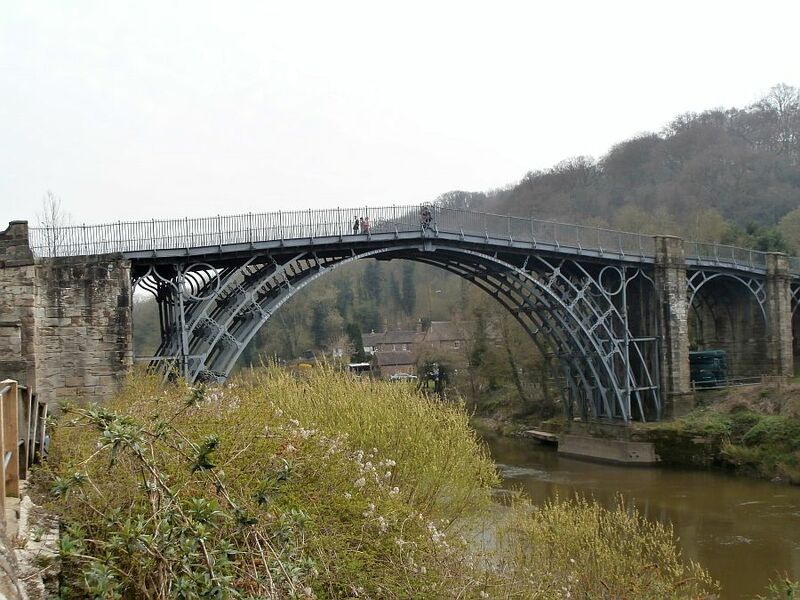 Abraham Darby in Coalbrookdale (a dale just off the main Severn Gorge) was the first person to smelt iron using coal. There are many Museums in this part of the world and all are worth seeing especially Enginuity – a ‘hands on’ ‘try it out’ museum. The walk up Coalbrookdale besides the brook is beautiful. On the same day we climbed the Wrekin. 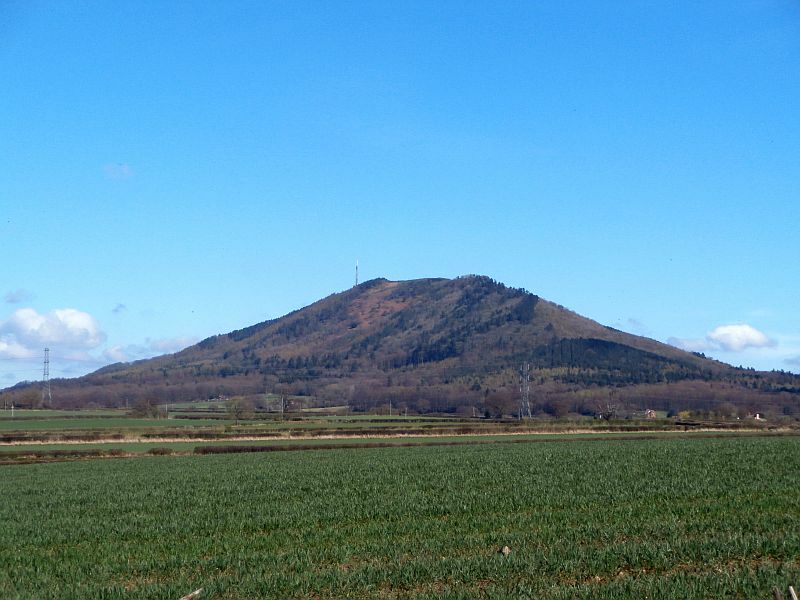 This is a famous Shropshire landmark which rises steeply (and descends even more steeply) We decided to adjust the route to climb it and take in the view. As this was one of the ‘Saharan dust pollution’ days the visibility sadly was not what it should have been. We ended the walk at Wroxeter. You can find it on a road atlas south-east of Shrewsbury. Its main feature is a Roman City owned by English Heritage. The ruins are quite extensive and there is a re-constructed Roman villa staffed by people in Roman costume. 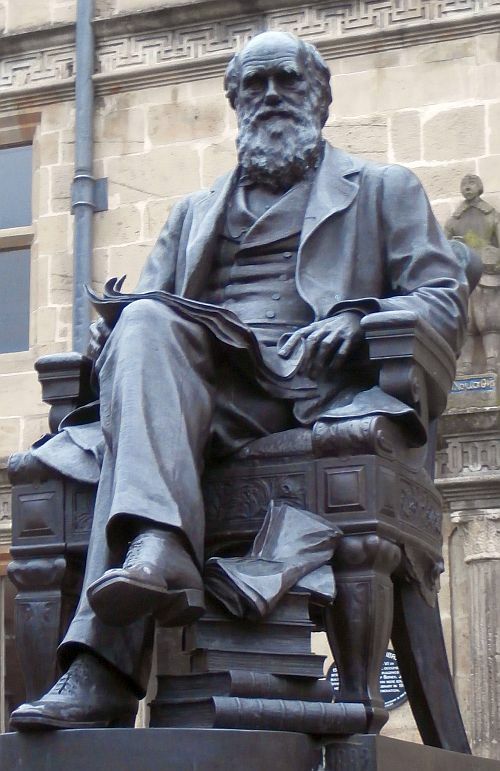 bid to become a cathedral with its own diocese, but this was blocked by the then Bishop of Durham, Hensley Henson. The abbey has its own shop and a display of its history and is most welcoming to visitors. A final, somewhat cryptic remark is to make sure that you visit the ‘Treacle Mine’ in Wem. Especially if you have a sweet tooth. 4 of Whixall CE Primary school with their teacher Mrs Foster, Bob the vicar, Sue (OLM) and the helpers. Many thanks to Amanda who helped us greatly on the A49, Bec, who gave us cake and tea at Duckington Grange farm, Peter Davies who welcomed us with wine and a lovely quirky flat called The Retreat in Chester, Kirsty from Holiday Inn in Chester who was really helpful to us over parking, Craig, Ian, Lizzy, Sam and Gavin at the pub near Watergate in Chester. Thank you to you all – good to meet you. Another thanks to Alison of Worcester who emailed me the link of the Worcester News where we made the front page last Thursday. This week marks the ‘hinge’ point in our walk. 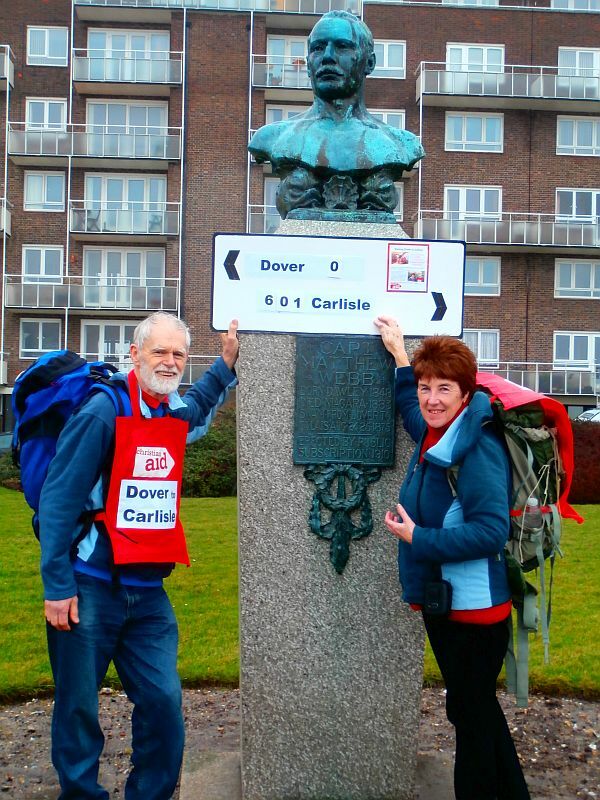 Not only have we ceased to walk with a westerly direction, but we have also passed our halfway point. 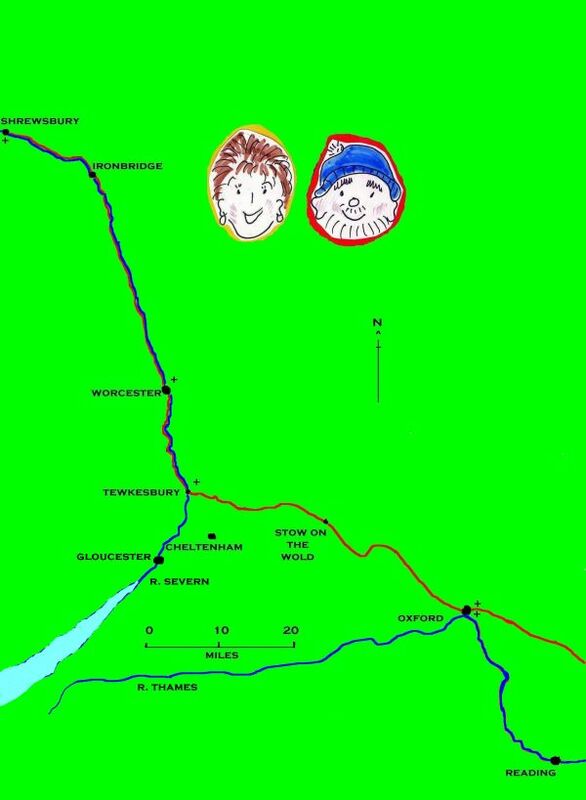 Monday saw us beginning at the pretty Cotswold village of Winchcombe and then coming down from the high ridge of the Cotswolds into the much flatter land next to the River Severn. 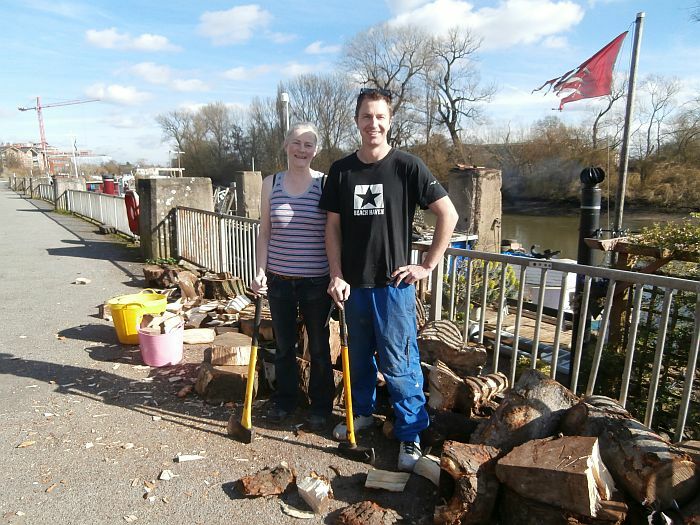 Our first major town was Tewkesbury, which had mercifully dried out from the floods earlier this year. 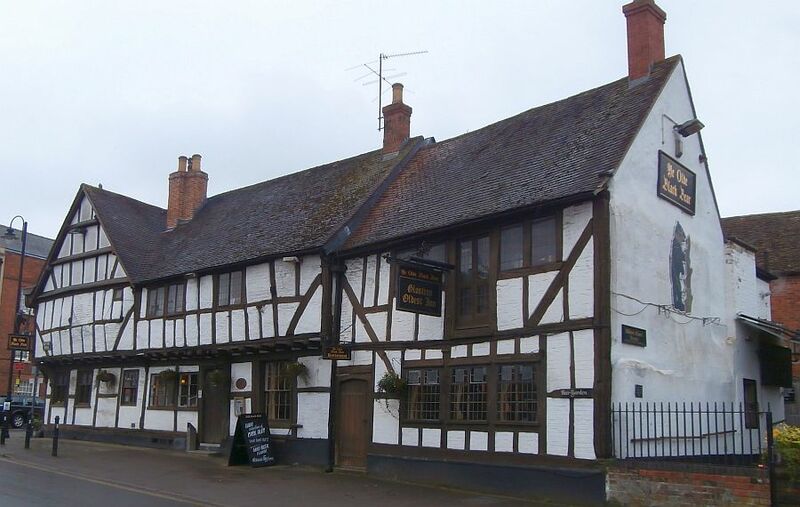 Tewkesbury is at the confluence of the River Severn and the Avon. 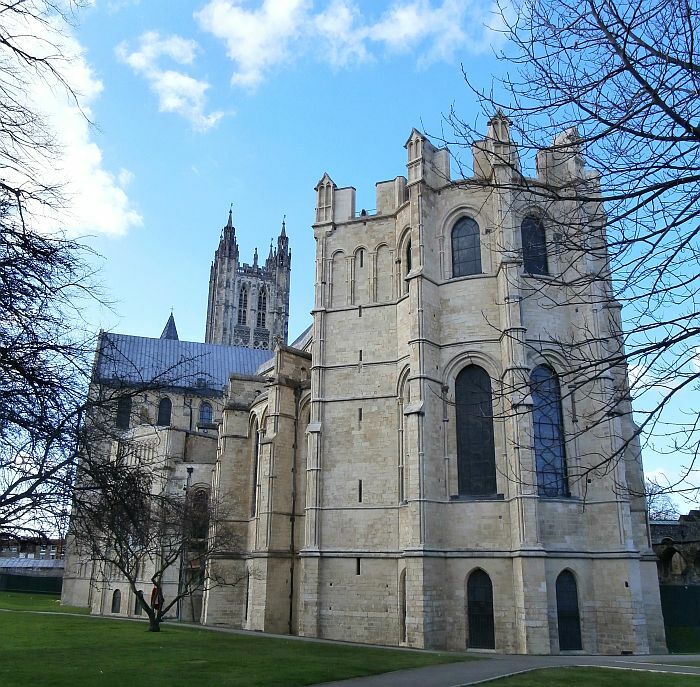 It has the highest density of ancient buildings in England and, of course, a splendid Abbey. We joined the regular congregation, the celebrant Wendy and their vicar Paul in early communion, which was quiet and very meditative. 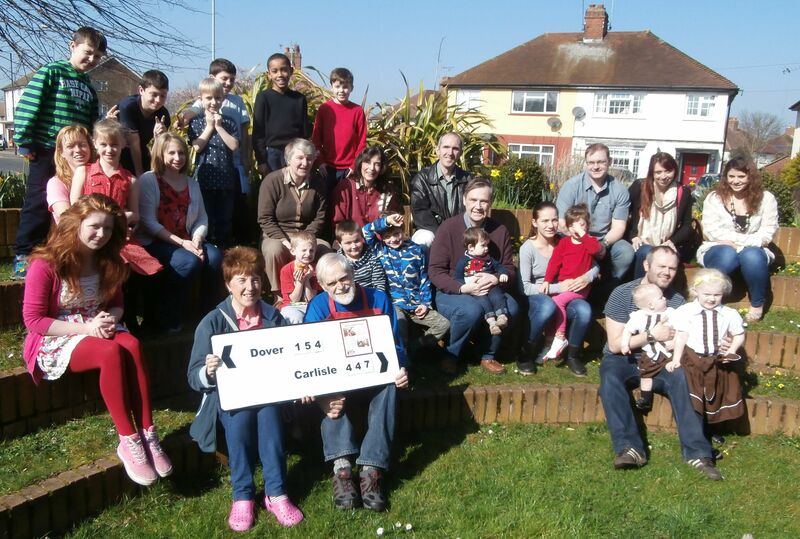 The congregation were very supportive of our walk. The River Severn was to be our constant companion for the rest of the week and indeed into the following week. As we walked along its banks we saw jetsam piled up against fences and kissing gates – but the river itself was serene. We passed through Upton with it’s ‘pepperpot’ tower, Stourport with its canal basin, Highley and its historic railway station, Bridgnorth with its steep climb to the upper town and bustling Saturday market. All had momentos of their past and a sense of making the most of their present. In Worcester we joined the regular congregation at Evening Prayer and also called in at the Worcester Journal. They were most pleased and helpful to see us. 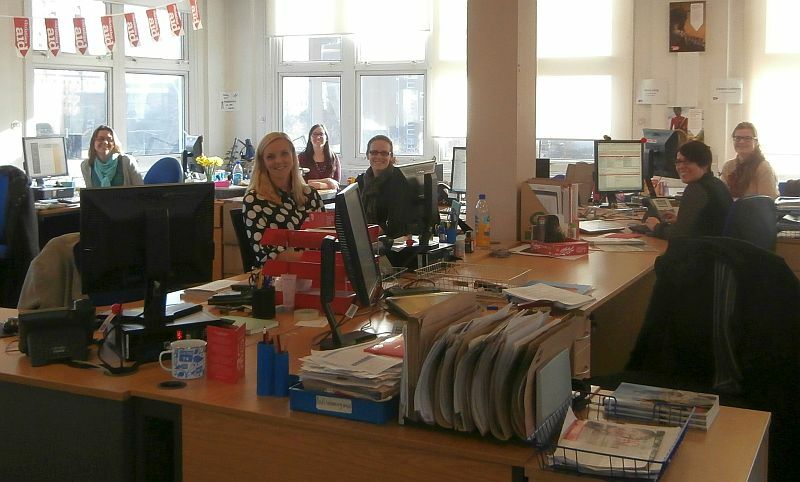 Thank you receptionists Jo and Sarah. 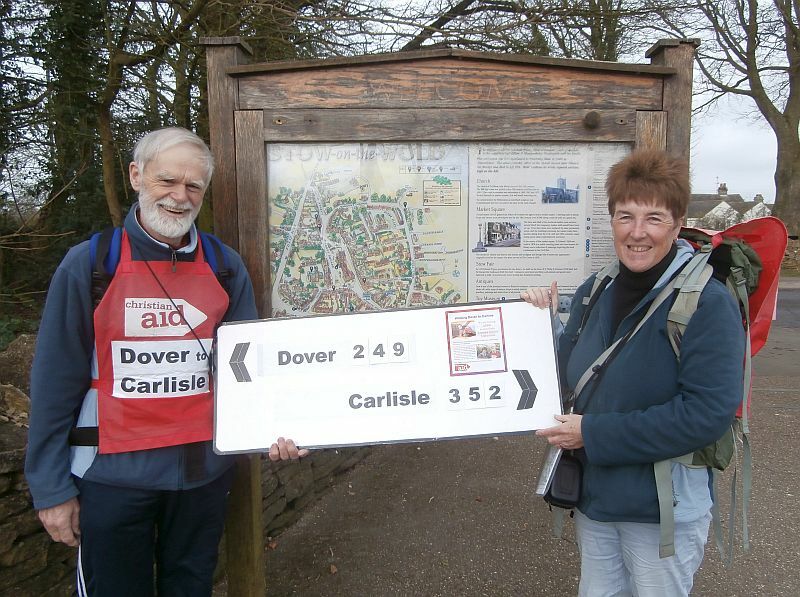 Their photographer (Nick) took our picture by the side of the River Severn, which marked our halfway point on the walk. 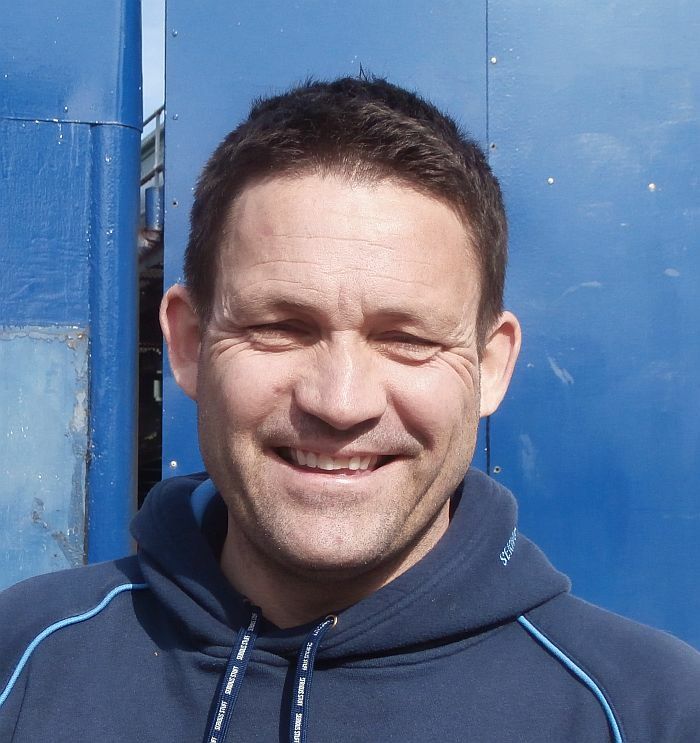 Their journalist James interviewed and said he thought the article would appear in the issue on Monday. Halfway at Worcester. Many supportive people stopped to chat with us on our way (– some despite a cold easterly wind). 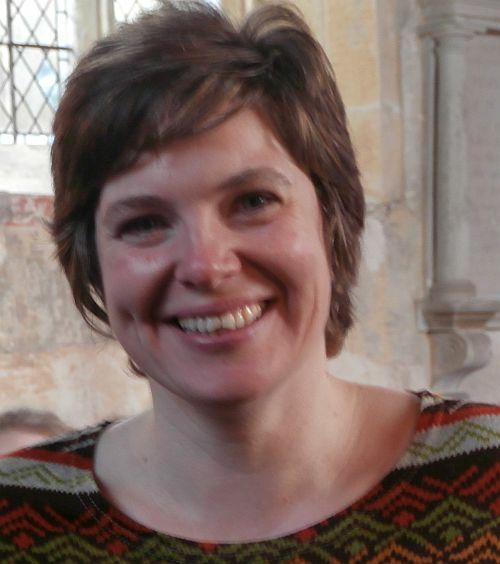 So hello and thank you David in Winchcombe; the unknown driver in Tewkesbury who gave us a donation as he waited at traffic lights, to Sr Fran from Tewkesbury hospital; Anne in high Street Tewkesbury; the congregation at Tewkesbury Abbey mid-week communion Paul (the vicar), Wendy (celebrant) Davids (X3), Francis, Sue, Tim, Philippa, Barbara and Claire (the administrator); John, Mavis and Sarah visiting Upton church in search of ancestors; the ladies in the Upton hospice shop (do you have pens yet? ); Don and his dog from Kempsey; Barbara and her grandaughter enjoying an extra day off school in Kempsey; Jen and Charlie (who followed us through the mud on the river path in Worcester); the very warm welcomers at Worcester cathedral, Colin and Carol (vergers) Patricia (chaplain, Dean Peter Atkinson, new Precentor Michael, Roy in the congregation and Alison and Ruth who turned up specially to support us; Trevor and Justine and Arnie the dog in Highley, who warned us that the local buses were unreliable; Peter and Sally and Grahame and Jannie all four met on the Severn Way; James doing 10 Challenges for MIND and Tamlyn, very helpful at Bridgnorth TIC. 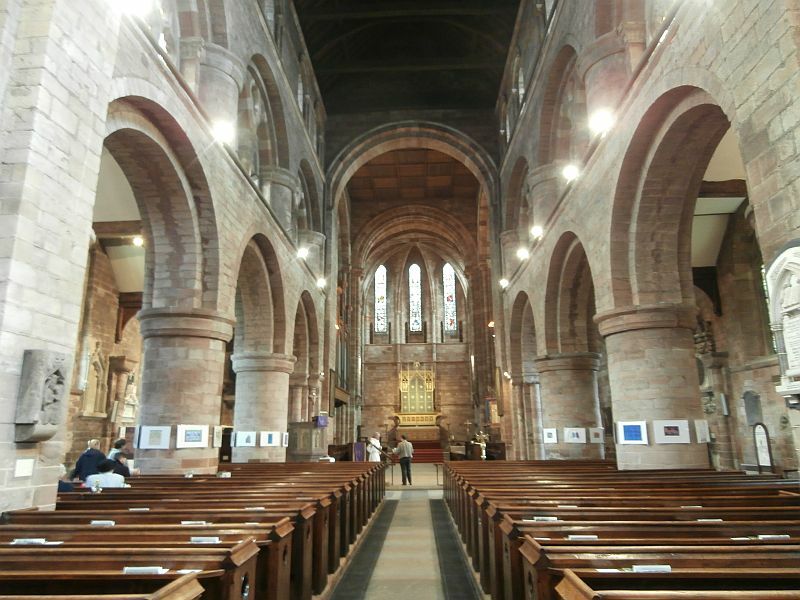 Today we have had a very warm welcome at Shrewsbury Abbey as we joined them in their Mothering Sunday worship. Thank you vicar Paul, Assistant priest Stephanie, and all the congregation and especially Wendy and Roger who are feeding us tonight! 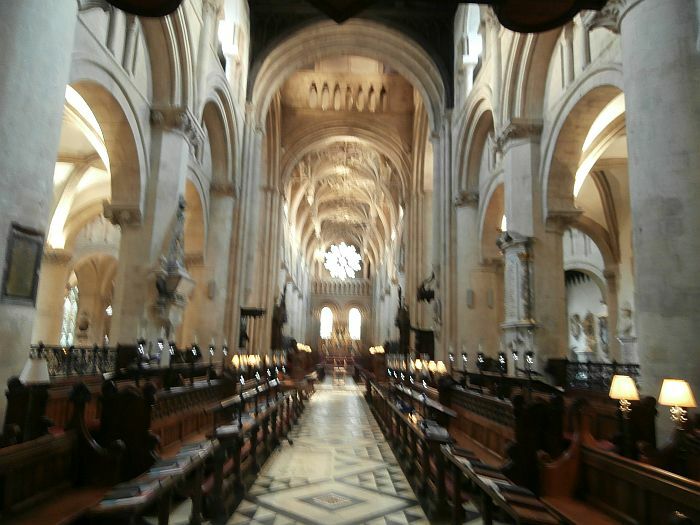 This was Monday following an early morning Communion service at Christchurch cathedral Oxford. There is something very peaceful about early communion services and this was no exception. We then walked along the Thames path upstream doing about 4 miles of our other long walk only in the other direction. The next day saw us beginning to see the lovely honey-coloured Cotswold limestone. 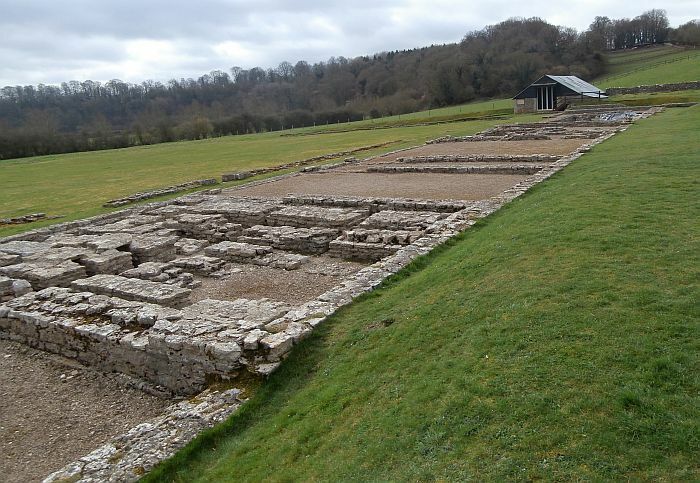 One early visit was to the excavated site of a Roman villa at North Leigh. The villa must have been enormous with two wings and three bath houses. A fine mosaic pavement (now under cover from the elements for protection was also discovered. 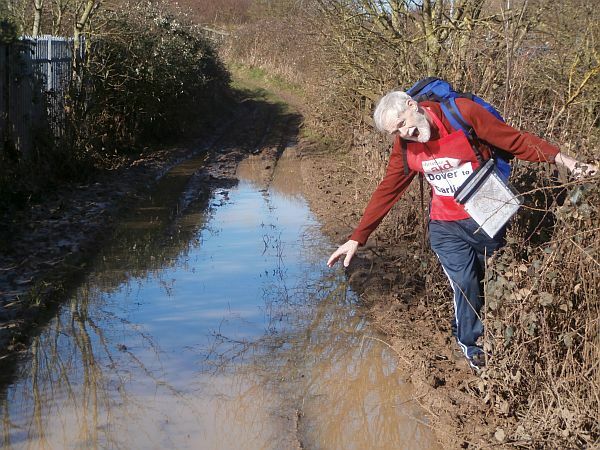 The River Evenlode was full after the floods, but in only a few places did we have boggy ground to contend with and only once had a ditch diverted itself along the path, giving us a choice between a wading exercise or negotiating brambles! 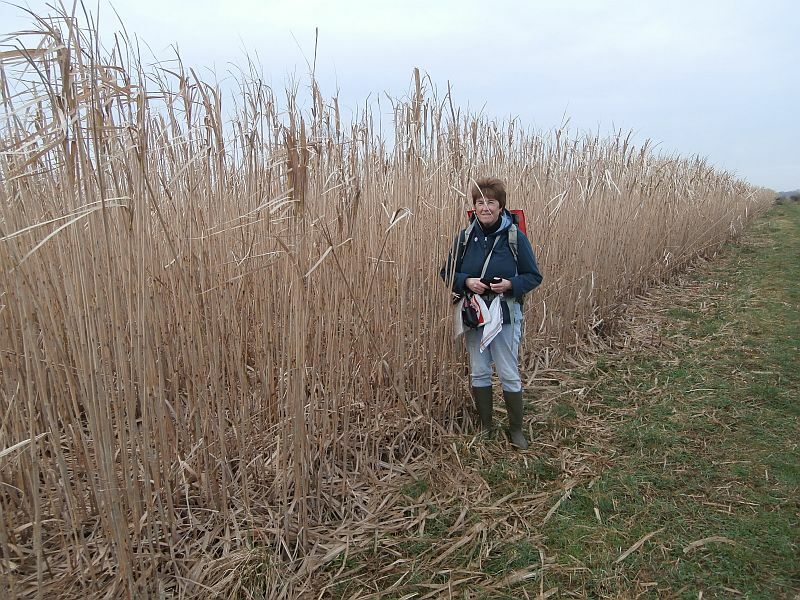 field of miscanthus. This is one of the crops used for bio-fuel for generating electricity. The farmer who planted the crop should have harvested it before Christmas but the flooding prevented this. He had been selling to Didcot Power station, but this has recently closed so we are not sure of what will happen to the crop. 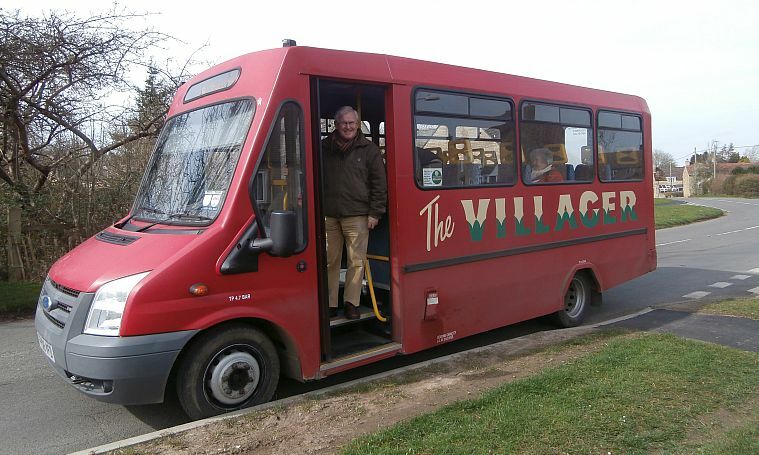 Between some of the Cotswold villages runs a very special bus ‘The Villager’. This is the epitome of the friendly local service. Driver Peter was most careful with his passengers, almost all regulars, helping them to the door with their shopping and going out of his way! It was an excellent service. We have met many supportive people this week, beginning with Canon Edmund Newey at Christchurch Cathedral Oxford; Paul, the manager of the Toll booth on Swinford bridge, Maureen, William and Janet in Eynsham; Arthur, lifetime resident of Eynsham; Harriett who cut my hair at La Diva in Eynsham; Alison at Stonesfield; very helpful assisants at Witney TIC Sharon and Lyndy; Simon a farmer from Chaddlington, Mandy and her dog Bramble at Ascott-under-Wychwood; Alan in Stow (thank you for taking the photo); Peter the drive of ‘The Villager’, John and Ros met in Lucy’s teashopp, Celia and Lucia in Lower Slaughter, Caroline and Chris on the footpath to Upper Slaughter, James on the bus from Winchcombe to Cheltenham, Robert and his dog who walked some of the way with us to Winchcombe. Special mention of Joanna at the Jewellers in Fosse Park. Good to meet you all and thank you for your encouragement. This week has been very different from last. We left the Thames and went for the higher land of the Chilterns. Chalkland walking is up and down whether it is in the North Downs, Yorkshire Wolds, or Chilterns, but because of the sunny weather it has been glorious. statistics. On Wednesday this week, our walk took us past once the home of Benjamin Disraeli and now under the guardianship of the National Trust. From there we walked through West Wycombe and viewed both the Caves which once held meetings of the ‘Hell Fire Club’ and the Mausoleum – now being restored- which towers above the village giving excellent views of the countryside. The second half of the week has unfortunately been misty in the mornings, which rather restricted what we could see. Even a diagonal walk across a grassy field was tricky. 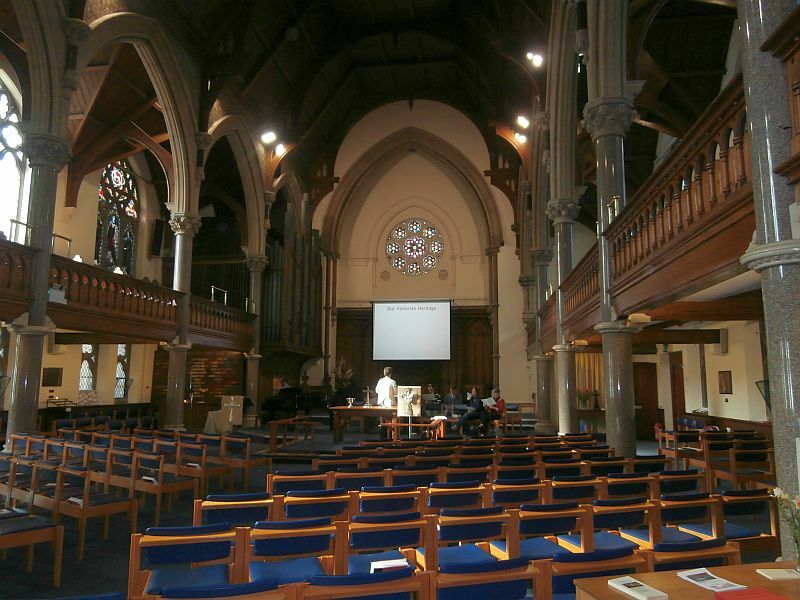 This Sunday we have joined Wesley Chapel Oxford in their worship. 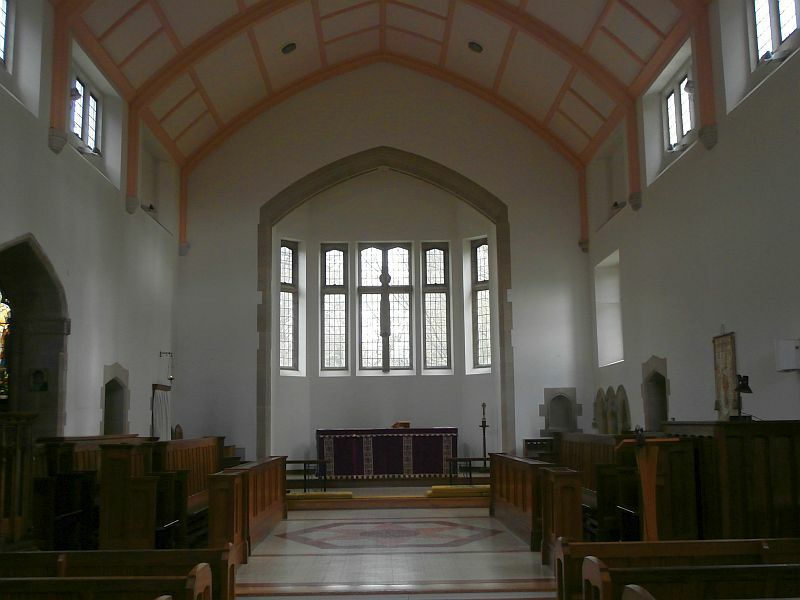 This chapel has historic links with Wesley and is important in the city. We received another great welcome and much support for our walk and the project in Afghanistan. As always, the walk has been made by the people we have met en route. So Hello and thanks for your support to: Daisy walking her dog at Burnham Beeches; the Penn Tuesday walkers Mary, Sally, Jackie, Cynthia and Joy; Katherine and helpers at High Wycombe Museum; Ruth and Eddie at All Saints Church High Wycombe; Tara, Eva, Naila, Enzo, Carrie and Stella on the Bledlow Ridge; Nick the bus driver and Jeremy who kept me entertained! ; Thanks too to Diane and Su at Wilkinson Sword House; Annette and Sam at Tiddington, Ray at the Tiddington bus stop and Elizabeth a Christian Aid supporter from Thame. Special thanks to Martin and the congregation at Wesley Chapel Oxford – and Roger and Karen being very hospitable to us in Eynsham. This week has been a week of contrasts, walking through London south-east to north-west, with most of it following the Thames Path. 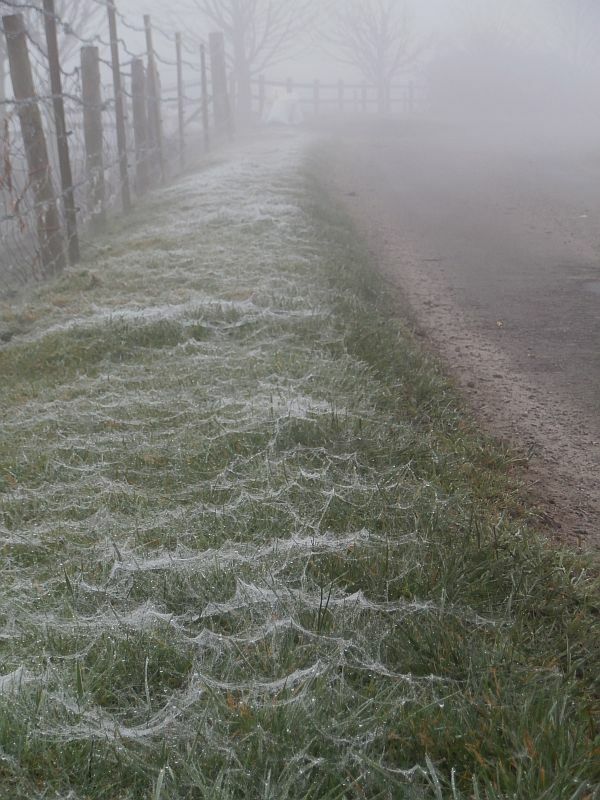 It started in Kent with the only wet day we have had. We splashed through puddles and ducked overhanging bare branches in woods and round fields. That day everyone seemed sensibly to have stayed indoors and we met hardly anyone. The next day we got to the Thames and began our walk past building sites, industry, iconic historic buildings and thrusting modern constructions each seeming to be trying to outdo the one we had just past. There were plenty of smart riverside dwellings on our route, a few parks and gardens and plenty of the young fit jogging or riding bikes. Some of the more and less famous you can see on the separate posting of photos which will give you a taste of what is has been like. One day we braved the morning rush hour in central London at Waterloo. 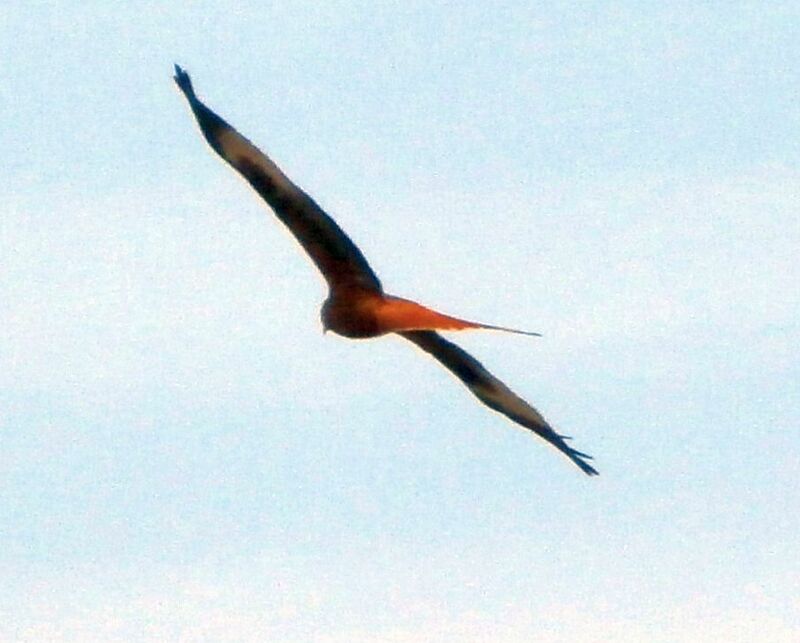 Everyone except us, seemed to be young and to know exactly where they were going – and did so purposefully and at speed. The queues for buses were enormous, the cyclists seemed to be risking life and limb. Most people were attached to their mobile phones or have ear phones listening to music of some kind and seemed rather taken aback by our saying hello and making eye contact – though they did manage a smile in return. Wednesday was the day of visits. We made it to Southwark Cathedral for their 11.30 prayers, to St Paul’s for midday Ashing and Communion and to the Christian Aid office where we were welcomed and treated to cups of tea, coffee, grapes and biscuits and lots of encouragement and conversation. We came away feeling uplifted and ready to walk the rest of the route. Thursday we were in the heart of London at Westminster, nodding to Churchill on his plinth, Downing Street past the policemen and Westminster Abbey with its queues of visitors (and it is only March!). Once past there it did not seem too long before the Thames took on a much more relaxed appearance with: boys getting rowing lessons; Hurlingham Yr 4 pupils coming back with their books on world book day (hope you enjoy reading them!) with their teachers, especially Mr Stanley; trees – and even a dirt path which was a welcome relief after so much tarmac. This week has seen our journey along the North Downs Way from Canterbury almost to the western edge of Kent. The weather has been most kind and we have seen wide open daffodils, wall flowers and spring blossom on the blackthorn trees. Orchards, rolling sunlit downland and coppiced sweet chestnut trees have been in abundance, but we have never been away from the noise of people travelling much faster than we are – along the M20, A2 and the Channel Tunnel rail link. Near Wye, we called in to see the largest collection of apple trees in the country at Perry Court Farm. 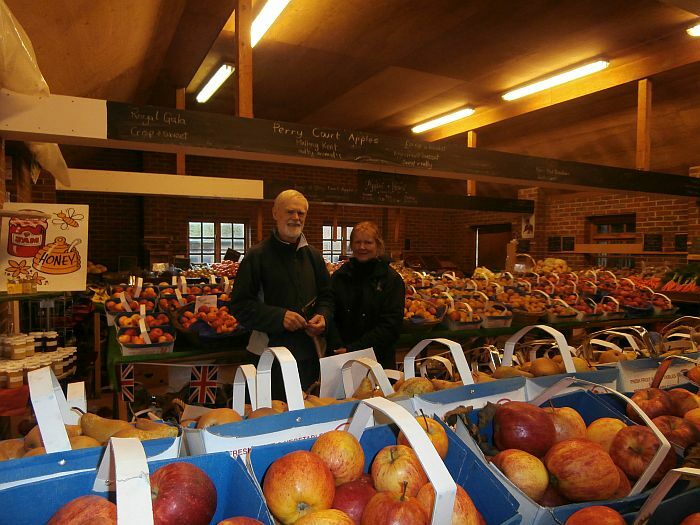 The farm shop sells a wonderful variety of fresh produce and mouth-watering cakes. Heidi, who owns it along with her husband, kindly told us lots about the business. Further along the chalk scarp we saw the large cross cut into the hillside as a war memorial. 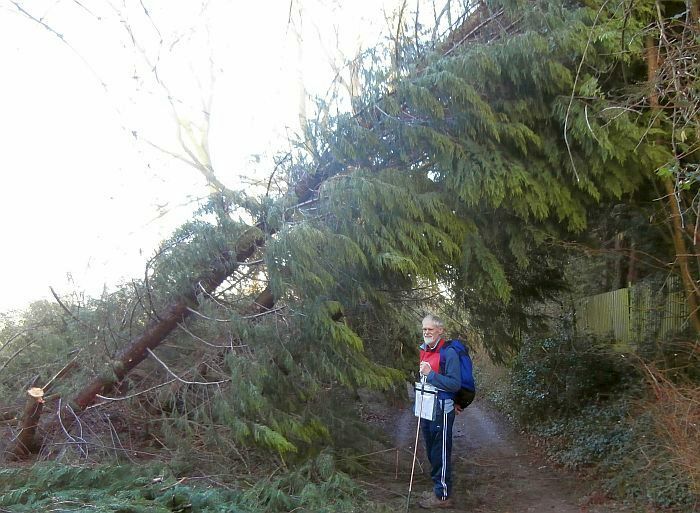 There was mud and fallen trees as a result of the previous bad weather, but nothing that stopped us for long. 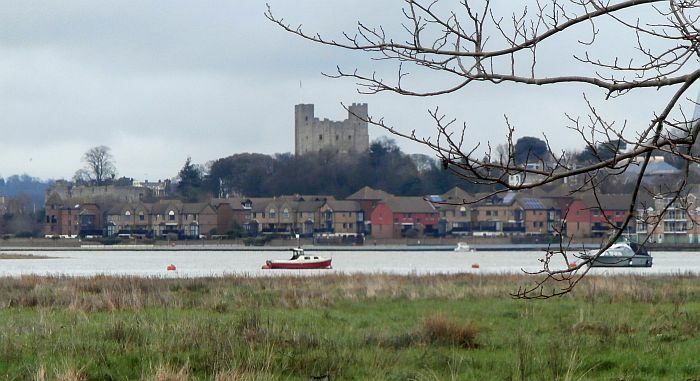 On reaching Rochester, the Castle and the Cathedral give a historic feel to the approach by the River Medway. At the cathedral, guide Rosemary gave us much information about the history of the building and, later, at Evensong, Precentor Neil was most welcoming. We heard the all male voice choir (they also have a girls choir) sang unaccompanied and it was quite special. Leaving Rochester behind we headed west towards London. 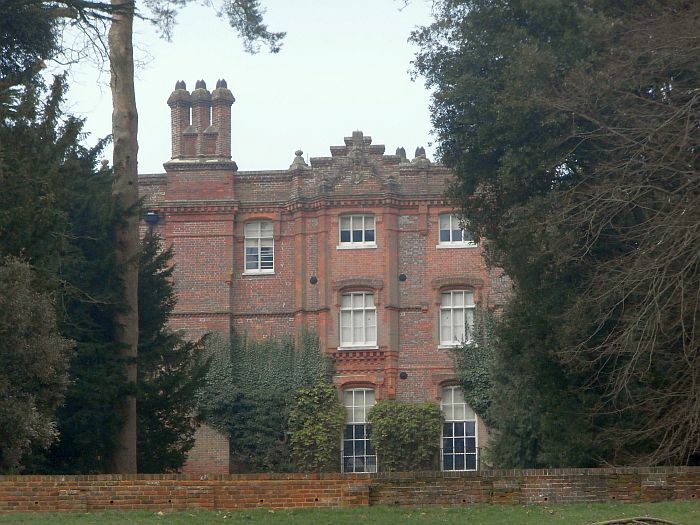 Our lodgings this week are in Charlton, an area that is very different to rural Kent. We joined a lively and enthusiastic congregation at St Luke’s for their morning Sung Eucharist service (complete with incense) and met many of them over coffee afterwards where we received much interest in the walk we are doing and the Christian Aid project in Afghanistan. The church there has a fascinating history stemming from the Middle Ages and some of this is depicted in their Millenium Tapestry. 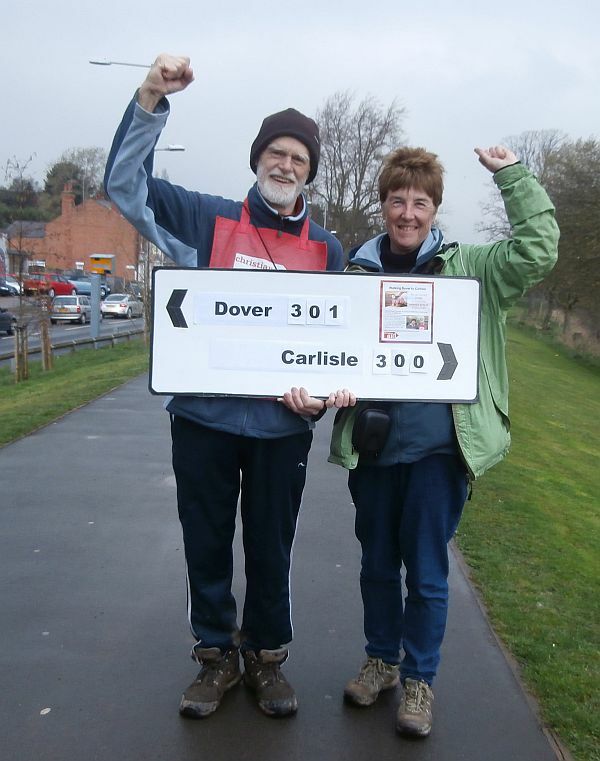 We have had the best of starts to our 501 mile walk. 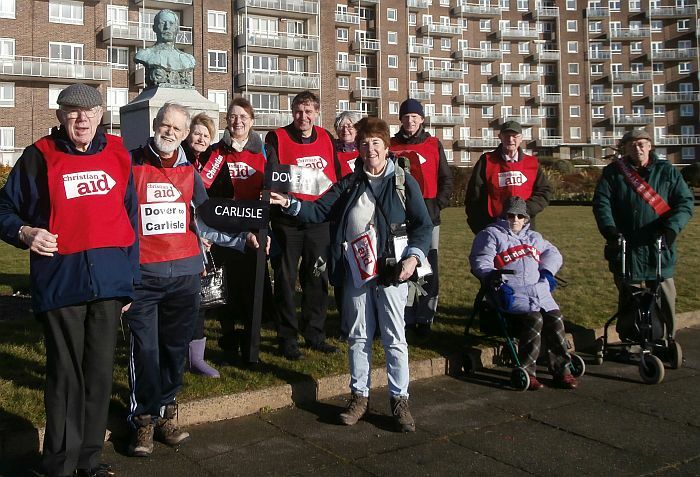 The sun was shining brightly and we had 12 stalwart Christian Aid supporters to send us off in great style from the Captain Webb memorial on the sea front at Dover. We managed to avoid flooded roads and climbed up onto the North Downs for our first of two days to Canterbury. Though the paths were not the best. I began to wish I had worn my wellies! This meant our progress was slow on the first day, but the second day things were much drier and we approached Canterbury dry shod with an hour to spare before Evensong which was sung by the wonderful Canterbury Cathedral choir. 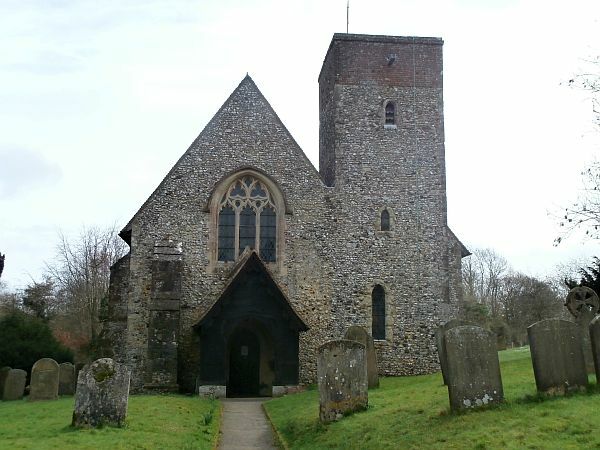 We had not got a speaking engagement for our first Sunday and so decided to worship just across the road from where we are staying at the tiny St Mary the Virgin church in Hastingleigh. The congregation was most welcoming and the worship was prayerful and uplifting. Thank you to Maria and Gabriel who met us the day before we set out; and to Emma, Susan, Mannetta, Camilla, Michael, Roger, Walter, Sylvia, David, Aileen and Richard who gave us a great send off from the Captain Webb memorial – and Richard again and his wife Kate who gave us much needed refreshments at the end of our first day’s walk and a lift to re-unite us with our trusty gear- carrying-mobile. Caroline at Hastingleigh was a great help – if you want a good place to stay check out her holiday accommodation at this village – a good centre to explore Kent. Hello too to Amy at Canterbury rail station, Ann at Shepherds Well and her sister Marguerite, and Canon Clare and fellow clergy and Julia and her fellow vergers at Canterbury Cathedral. Vicar John, churchwarden Ros and all the congregation of St Mary the Virgin Hastingleigh for their wonderful welcome and interest.